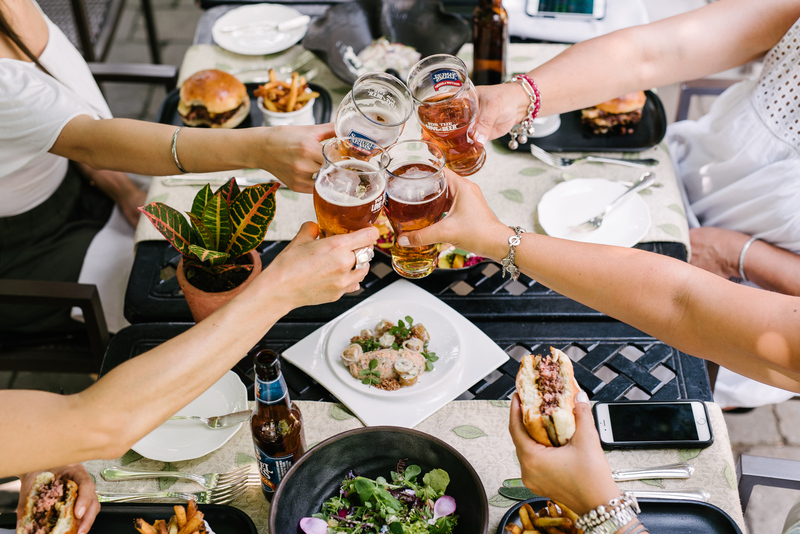 Burger’s and Beer…talk about the perfect summer pairing! I can’t think of a more refreshing way to wash down a juicy, meaty, cheesy burger than with a refreshing cold pint of beer. 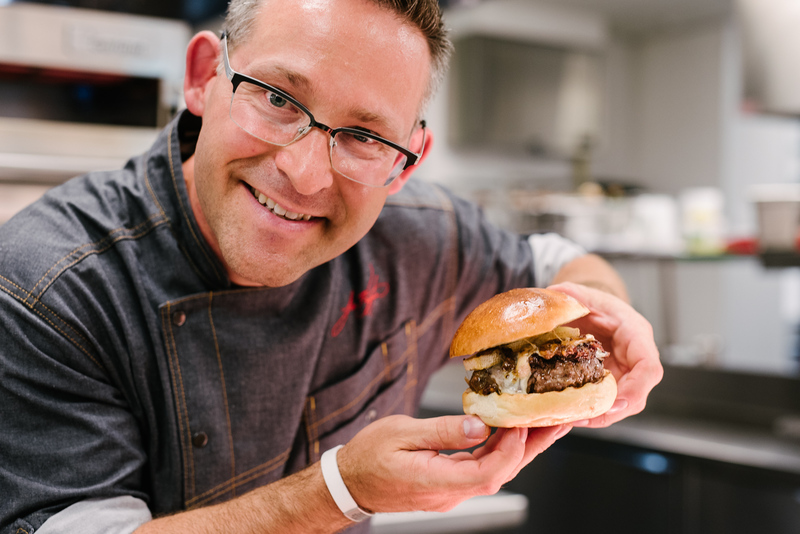 It’s even better when the burger toppings are infused with beer and it’s created by five diamond Chef Jason Bangerter! 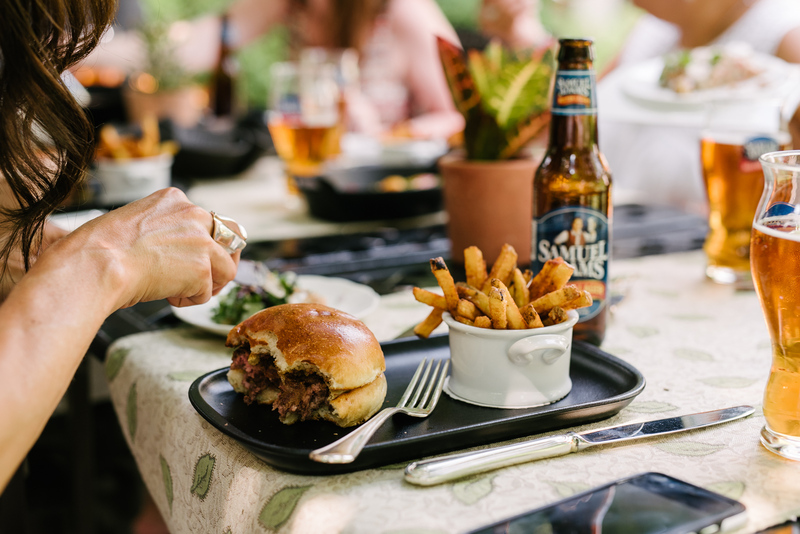 Recently I had the opportunity to visit Langdon Hall in Cambridge, Ontario with a few of my lovely food loving friends for a Samuel Adams beer pairing. 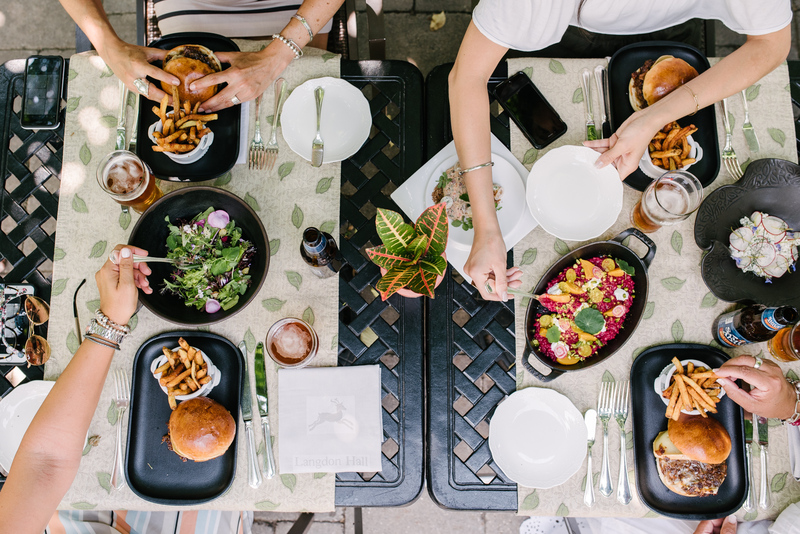 Langdon Hall is a Hotel and Spa with five diamond awarded dining where Chef Jason Bangerter creates dishes focusing on seasonal and local produce taking them to the next level. 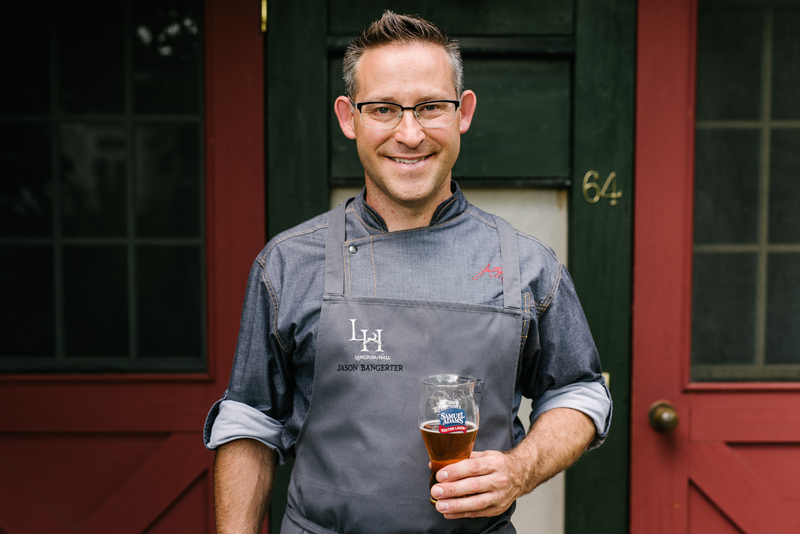 We were treated to an afternoon on the beautiful grounds to explore Langdon Hall and enjoy a Samuel Adams inspired dish by Chef Jason Bangerter. 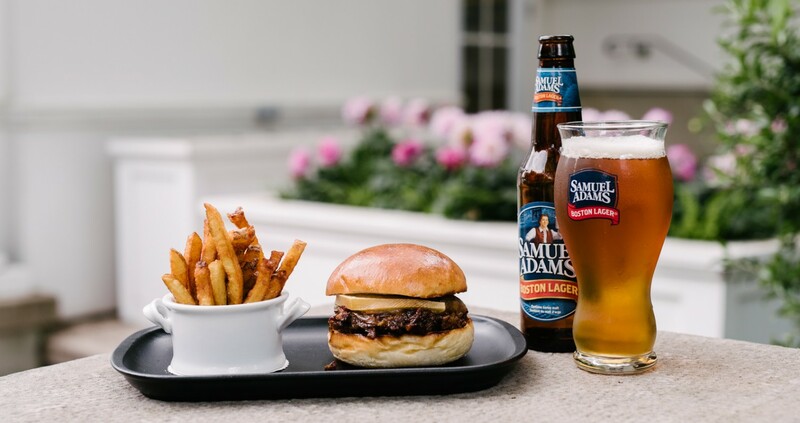 Chef created a burger to compliment the Samuel Adams Boston Lager and used it two ways in the burger itself. Samuel Adams is one of the oldest breweries in North America originating in the 1870′s with Jim Koch’s dream and goal to make a “better beer”. It was in 1984 when Jim Koch decided to take his favourite family recipe from his great-great grandfather and created that “better beer”. 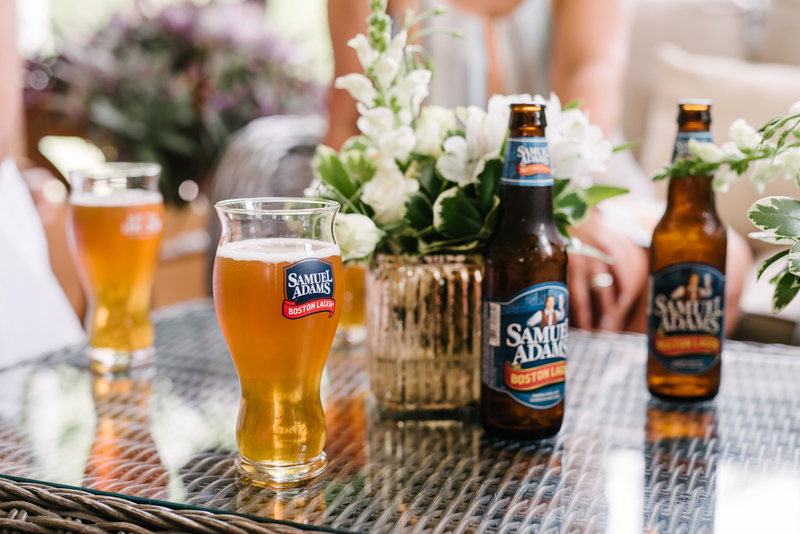 The Boston Lager debuted in about 25 restaurants and bars, fast forward to today, with over 50 styles of beer, available all over north America and in over 20 foreign countries, Samuel Adams is nothing short of a successful brewery. 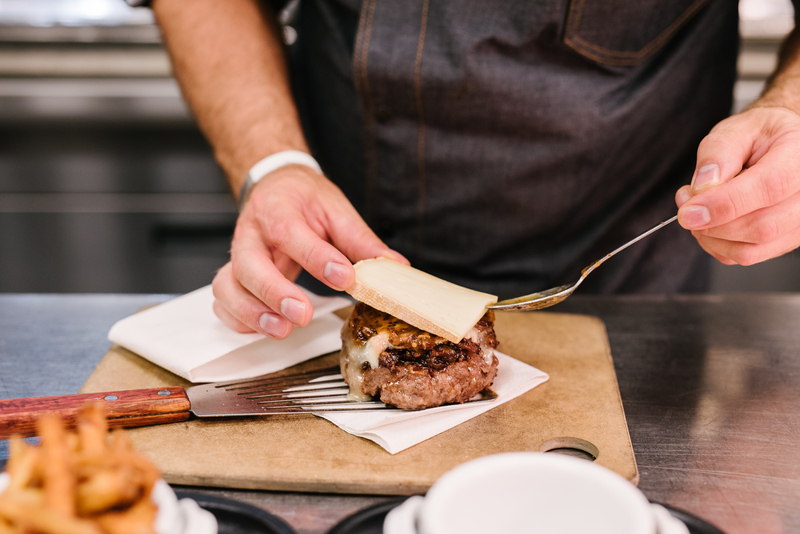 He succeeded…best burger I have EVER had, hands down! One big bite had juices running down your face and before you could grab a napkin, you were ready for another big bite. 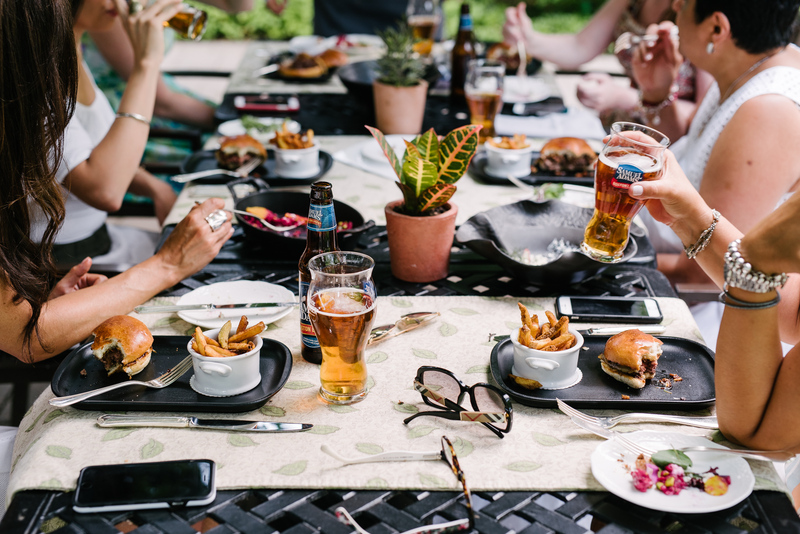 The Boston Lager was the perfect pairing to wash down the burger. It’s balanced medium bodied amber coloured beer. 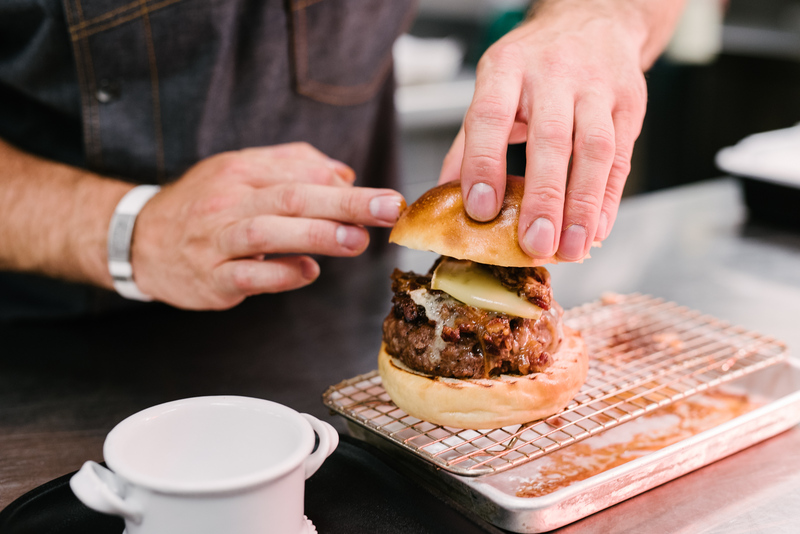 There are layers of complex sweetness from honey, elements of honey and and aromas of pine with hints of spicy hop, soft citrus notes and an ever so slight bitter finish, it’s the perfect pairing with Chef Jason Bangerter’s burger. Our pairing was complimented with some of Langdon Hall side dishes: a local organic green salad with greens from The New Farm and their own garden with edible wild and herb flowers and a seed butter topped with raisins. A wild salmon rillette with rye crumb, house made ricotta with cold pressed ontario canola oil, garnished with sage flowers and a vibrant barley risotto with local chèvre, beet root, bee pollen and pistachios. 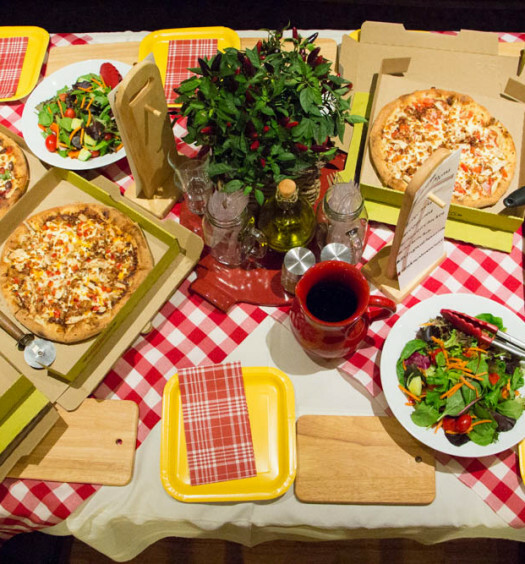 The sides were so delicious complimenting the Boston lager well. 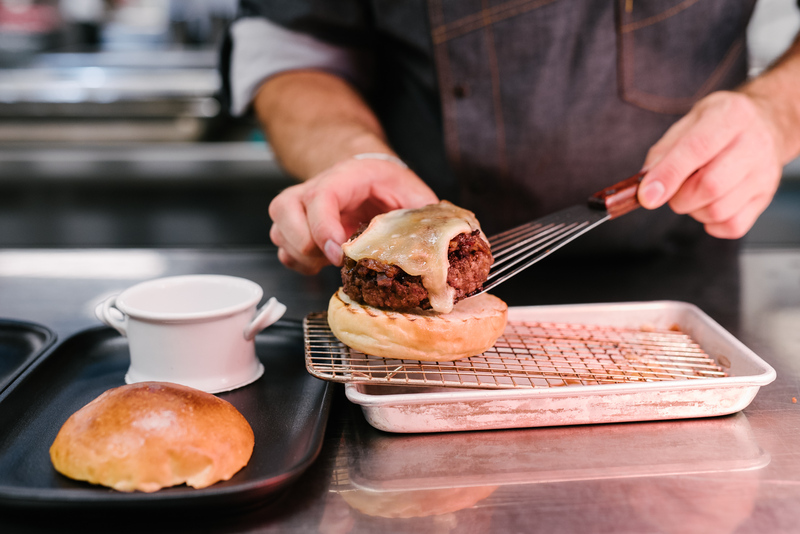 We all devoured the burger within minutes, finishing each bite with a refreshing sip of the beer all while listening intently to chefs stories about his excitement for the summer season and the selection of produce it brings with it. 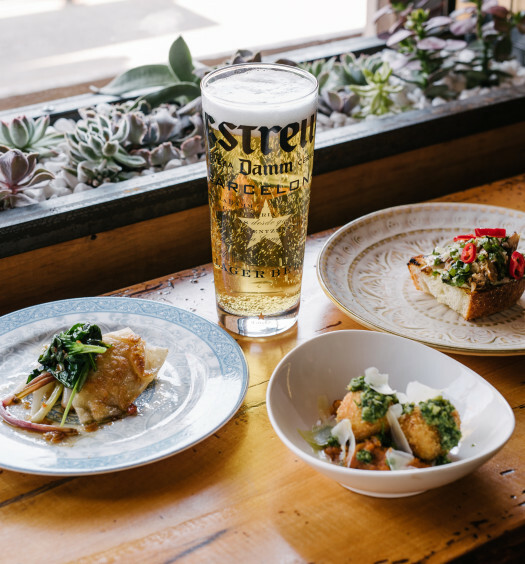 Summer has finally arrived and I’m excited to know that great chefs like Chef Jason Bangerter are supporting long standing craft breweries and are using their beer in menu items. 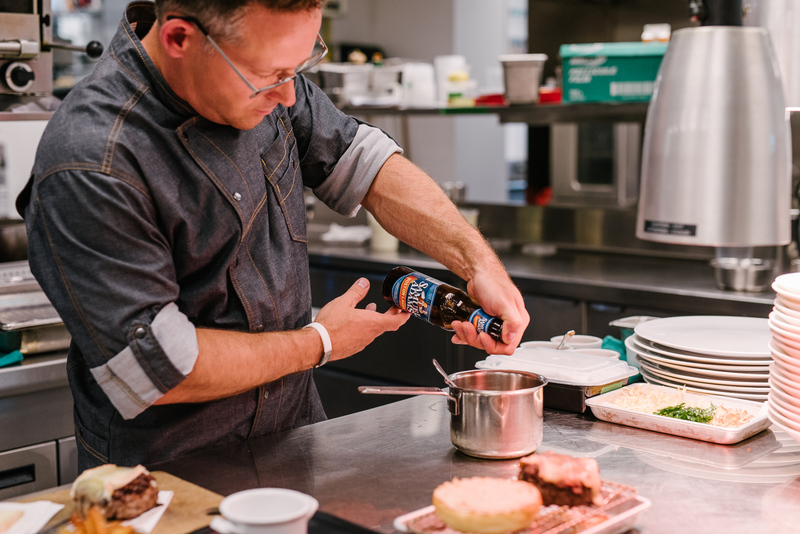 It’s really special to see a relationship with chefs and breweries…it simply means good food and good beer for all! Win win! 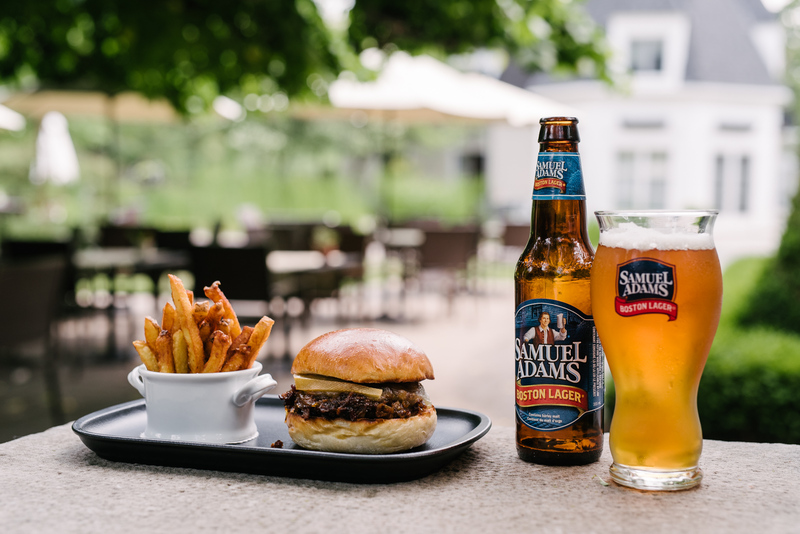 Chef Jason Bangerter’s Samuel Adam’s – Inspired burger will be served alongside the Samuel Adams Boston Lager for the Months of June, July & August so be sure to visit for a beautiful mini getaway!